This is a poem, not a listicle. 1. It tastes like leather. Hold the stick tight. 2. If you listen you will soon note that it speaks bad French. 3. It has never been to France, except in fairly standard dreams. 4. It bought cheap steroids in Bali, but is yet to bulge. 5. It would like to contain the word ‘roseate’, but can’t. 6. It read itself out loud just last week and was well received. 7. It just watched the film The Brain from Planet Arous. 9. It can’t translate that into French, even French of the worst sort. 10. This is a poem, not a listicle. Yes, this poet (and not just that poem) just watched The Brain from Planet Arous, in which a nasty alien brain inhabits the cranium of a scientist, and a nicer alien brain inhabits the head of the scientist’s girlfriend’s dog. Only to be watched when drunk. There are seemingly endless scenes of people tiptoeing through caves, and the woman who owns the dog never stops serving the men food. The direct speech in the poem is made by the nasty brain, who does do a mad scientist chuckle quite frequently. I am interested in how flat the language in a poem can be before it ceases to be a poem. Also, the word listicle caught my imagination. So like popsicle, but often so disappointingly flat AND chunky. Other poets may be playing with form, if not risking brain damage by watching dreadful 50s science fiction films. Read the works of the other Tuesday Poets around the world by pressing here. 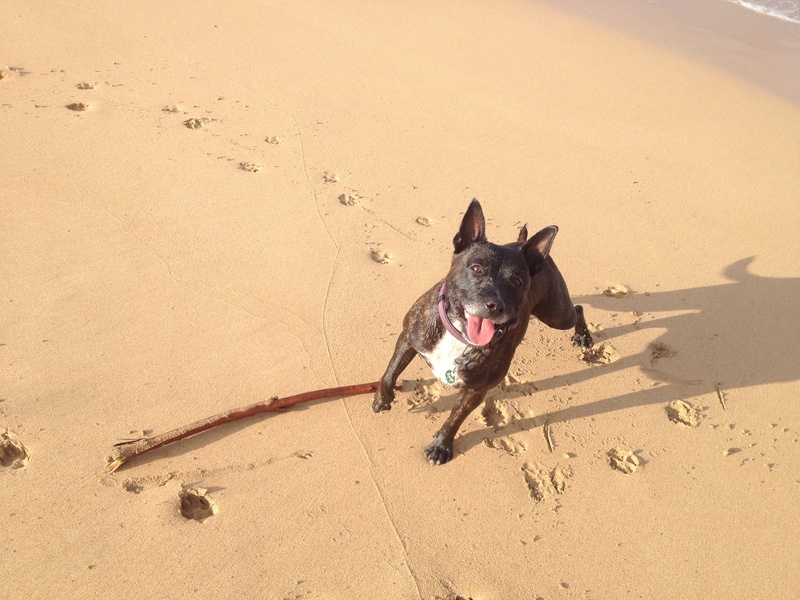 The stick controls the dog….listen to the stick, Mango. I recently wrote a poem containing the word ‘coracle’, too, Helen! I think that the noises of poems take over my brain, and it takes near obsessional writing to remove them. Perhaps I should direct a film about it: The Icicle, The Polpsicle, The Listicle and Me.